Holistic medicine is based on the law of nature that a whole is made up of interdependent parts. The earth is made up of systems, such as air, land, water, plants, and animals. If life is to be sustained, they cannot be separated, for what is happening to one is also felt by all of the other systems. In the same way, an individual is a whole made up of interdependent parts, which are the physical, mental, emotional, and spiritual. When one part is not working at its best, it impacts all of the other parts of that person. What are the origins of holistic medicine and how has it evolved? What are the cardinal principles of holistic medicine? How is holistic health care different from conventional medicine? Why is it that with the levels of technology we have in the 21st century, conventional medicine has poor success rates trying to resolve such common problems like headache, back pain, and fatigue? What types of doctors practice holistic medicine? Are they real doctors? 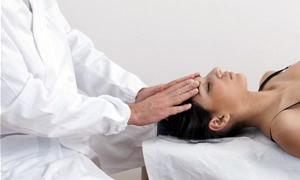 How do chiropractors apply the principles of holistic medicine? What is the typical Chiropractic approach to treating patients? Ancient healing traditions, as far back as 5,000 years ago in India and China, stressed living a healthy way of life in harmony with nature and the general principle of holism was concisely summarized by Aristotle in the Metaphysics: "The whole is more than the sum of its parts." The actual word holism was not introduced until 1926 when the South African statesman Jan Smuts coined the term in his 1926 book Holism and Evolution. Today, most insurance companies in the United States and other western nations cover the types of medicine that can be defined as holistic, among which include chiropractic, acupuncture and naturopathy. “Do you have a headache? Here, take these pain killers. They aren’t working? Let’s try more potent pain killers.” That is the conventional medical approach. This is like disconnecting the oil light on your dashboard when it flashes. The irritation is eliminated, but the real problem still exists. A holistic medicine practitioner seeks to alleviate symptoms too, not by suppressing them, but by using them as a guide for going below the surface and arriving at the root causes. Holistic health care professionals also work in partnership with their patients, treating the underlying causes and taking on the role of a coach or guide on the path toward wellness. This is quite different from the traditional medical approach in which patients and doctors wait passively for symptoms to appear, and when they do, remediation is with drugs or surgery. There is so much knowledge today, that doctors have moved to high levels of specialization, which means there is a lot of knowledge about very little. People are divided into individual parts and organs. This is wonderful for crisis health care, but it is disastrous for many of the general health problems. In fact, many medical cures often are more harmful than the disease itself. 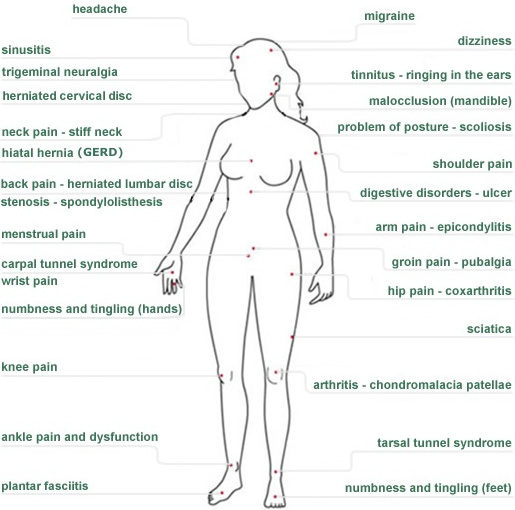 Most holistic practitioners have been trained with a conventional medical base. Examples include chiropractors, acupuncturists, and homeopaths, but even conventional medicine practitioners such as dentists, gynecologists, and veterinarians can also practice holistically. The role of chiropractors is distinctly different from that of conventional medical doctors, yet there are also similarities. On the one hand, we are considered specialists in neuro-musculo-skeletal disorders, so people seek our care for classic problems like herniated disc, back pain, and sciatica. It is quite common however, that patients come to us for more general problems because they are seeking an alternative to drugs or surgery. For example, a cardiologist is considered an expert in heart conditions, but it's unlikely that a patient would present to them in the hopes of resolving their headaches or dizziness. In the chiropractic office however, this is commonplace because we are holistic practitioners. Chiropractors adhere to standard medical protocol but take a holistic approach. For example, if presented with a knee problem, the chiropractor evaluates the person with the knee problem, not just the knee. This may involve performing orthopedic and neurological tests or ordering x-rays and MRIs for the knee, while also investigating other health issues like diet, exercise routines, or history of past injuries. For some, this may seem excessive, but the truth is, in order to achieve real and lasting results it is often necessary to assess a patient's total state of health.